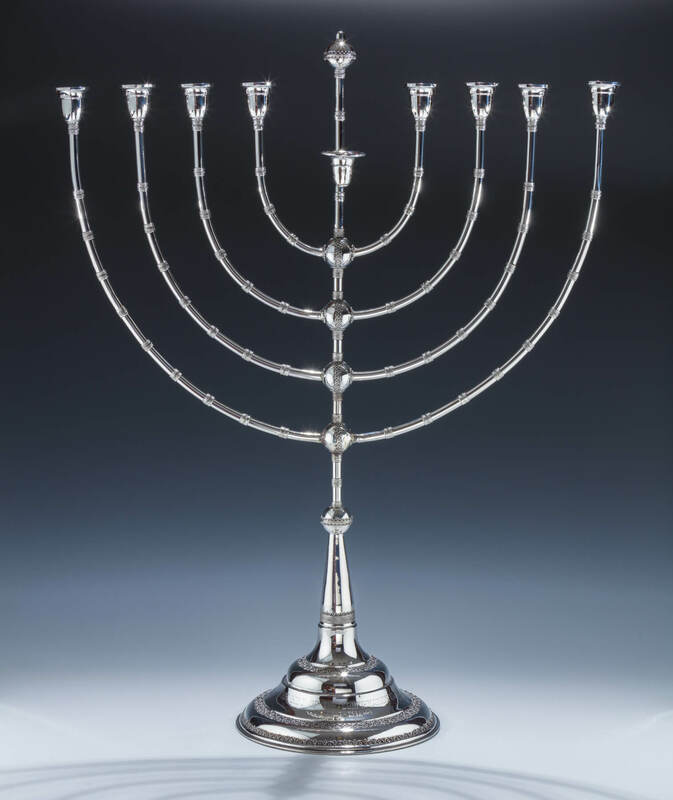 A MONUMENTAL STERLING SILVER HANUKKAH MENORAH. Israel, 1970. On round base decorated with applied wire work. Main section moves to allow use as candelabra. Engraved with dedication dated 1965. Weighted. 29.7” tall.